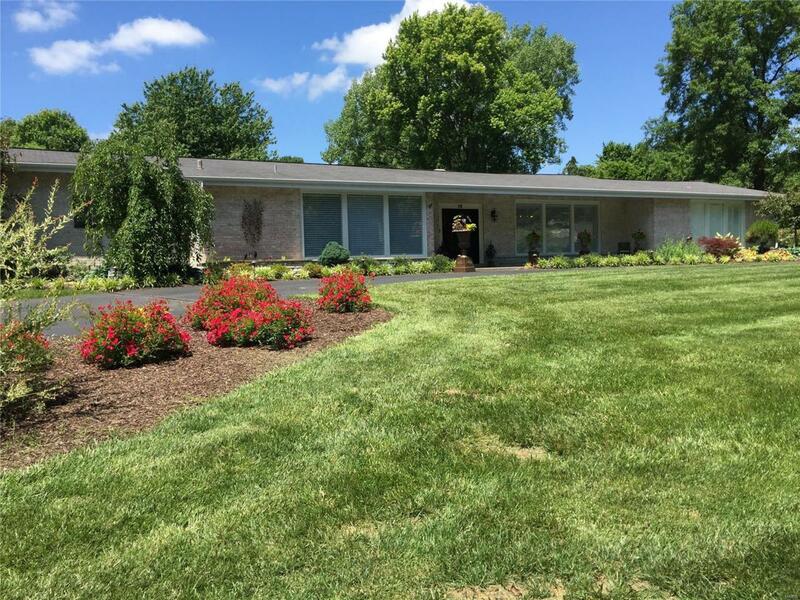 This sprawling Ladue ranch is ready for you to make it your own! The great room features an ornate, custom fireplace surround & a wall of windows with a glorious view...an in-ground pool in the very private & serene backyard, encompassed by a unique iron & wooden privacy fence. The covered paver patio provides the perfect spot for your a.m. coffee or evening cocktail. The updated kitchen offers everything you could possibly want: custom cabinetry, hardwood floors, pantry, stainless steel appliances including a Bertazonni gas range, granite counter tops & breakfast bar. With 3 bedrooms, a finished walk out lower level, dining room & study, you will have plenty of room to entertain family & friends. Other features include rear entry 2 car garage, custom mill work & a stately circle drive. Located in the highly sought after Ladue Estates, you will be surrounded by the the best shopping, dining & schools St. Louis has to offer! Dont wait...this one wont last long!